The National WWII Museum's own Victory Swing Orchestra celebrates the great big bands of the WWII era. 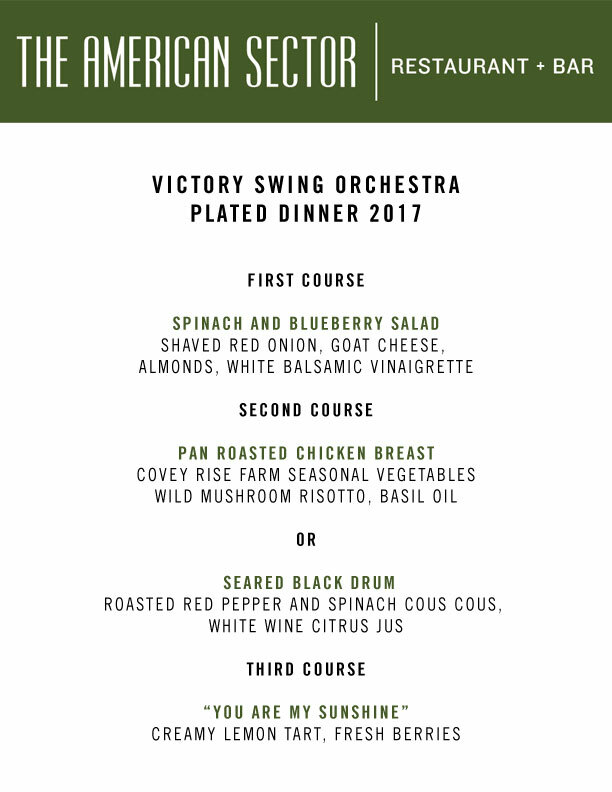 + Add to calendar 2017-07-22 6:00:00 PM 2017-07-22 9:00:00 PM America/Mexico_City BB's Stage Door Canteen 945 Magazine St, New Orleans, LA 70130 Dine & Dance with the Victory Swing Orchestra The National WWII Museum's own Victory Swing Orchestra celebrates the great big bands of the WWII era. The National WWII Museum's own Victory Swing Orchestra celebrates the great big bands of the WWII era. This amazing ensemble of talented New Orleans musicians will have you In the Mood to dance the night away!